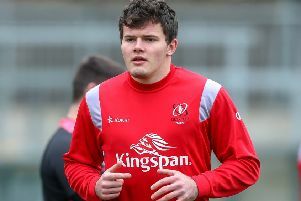 Coming on the back of such an impressive season, all eyes will be on Jacob Stockdale on Friday night when the Ulster winger makes his debut for the new term. The recharged Stockdale has recovered from a hamstring injury and lines out for Ulster on Friday night against Connacht in the Guinness PRO14. The 22-year-old who set a new try scoring record in the Six Nations Championship as Ireland charged to the Grand Slam is doing his best not to think about it all as he looks to improve his game further.